Want to check out the playlists before you sign up? Sure! Click on the playlist title to review the sequence of XPs. Once you are on the playlist page, be sure to click on the badge icon in each playlist to see the competencies and standards you will be work on and the number of points you will earn. Controversies (climate change, vaccinations, etc.) can be, and have been, unraveled by science. However, implementation of potential solution is hugely influenced by the public's understanding of the issues. This is why it is more important than ever for scientists to be able to communicate research and findings to non-scientists. To earn this badge, you will demonstrate your skill in communicating scientific research in clear and simple language. 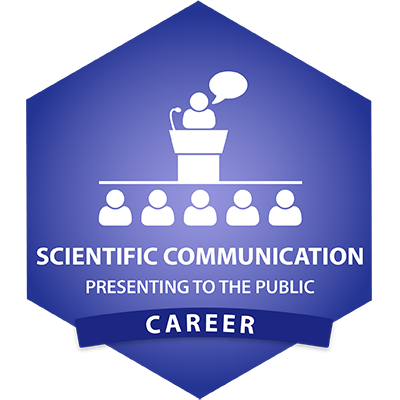 In this playlist, you will learn how to prepare and give a public presentation on a scientific topic. You will learn about how to give a presentation to different audiences with individuals preferring different learning styles; how to apply speaking and slideshow tips; craft a clear message; and prepare for questions. Being able to present information in an authentic and effective manner will not only make you a better scientific communicator, it will also give you valuable skills for science-related jobs in communications, education and interpretation. What does a “good” science explainer video look like? Does it need to have lots of graphics and special effects? How long should it be? How many ideas should it explain? How can it pique the viewers’ interest and curiosity? If you’re a grade school or high school science teacher, how can you capture an essential science concept or one ‘big idea’ in a video and also stay relevant to the new BC science curriculum? We will explore these questions together and help you kick start your STEM video project! What is research? Who is a researcher? Why do we research? We are constantly learning, creating, and sharing information to improve our lives. Researchers are people who play a vital role in planning, carrying out, and distributing research. You may be used to “research” where you are tasked to look up facts and then reporting them in one form or another. However, research at a higher level means so much more. To earn this badge you will conduct an experiment, make connections, and share it with the world! Reading and understanding primary journal articles is the foundation to gaining a good grasp of the current advances in any field. Every exciting new science news that you read or see on TV is based off a primary journal article. If you want to be involved in science and research, this is the first step that you will have to undertake! But how do you even start thinking about best ways of reading a primary literature? Level up your photography skills and learn how to create and share 360-degree photographs. The following playlists will be launched at a later time. Have you ever gazed into a clear night sky - and wondered if something, or someone was looking back? How many Earth-like planets are out there? Is there life beyond our solar system? These are some of the questions that drive astronomers on their quest to find exoplanets - planets beyond our solar system. This playlist will introduce you to what it takes to be an astronomer/exoplanet hunter, guide you through the basics of planet hunting, and will expose you to real exoplanet data. Complete these XPs to earn a badge as a beginner planet hunter. You like games, and you care about the environment. Why not combine the two and throw in a little design learning in as well? This playlist introduces you to the PhyloTrading Card Game. 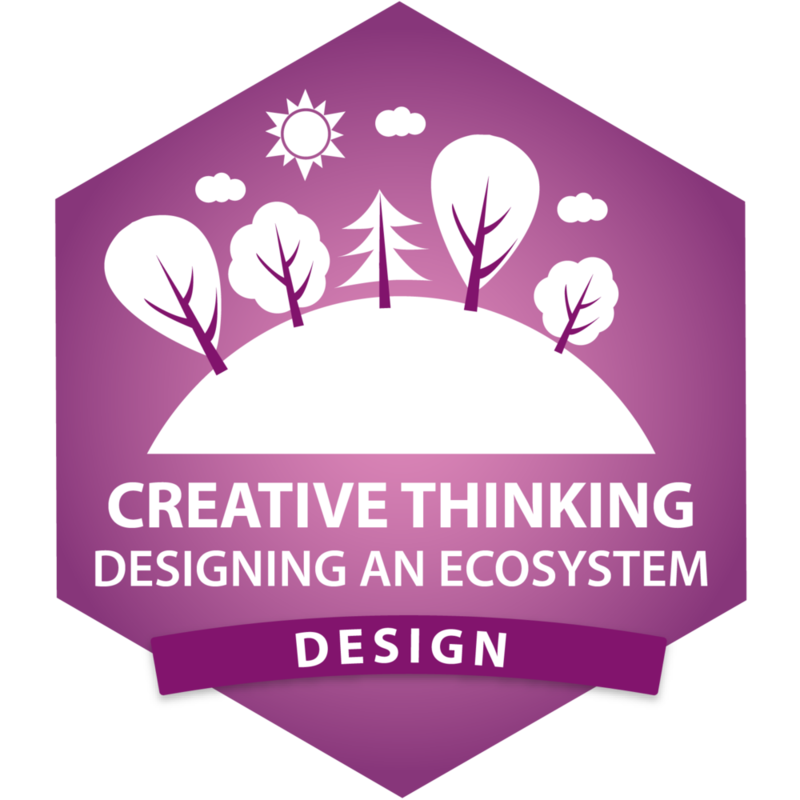 You will tap into your creativity to design animals, plants, and events that will be part of an ecosystem game. So what do games and scientific research have in common? Games are about overcoming obstacles and constraints to reach a goal, much like scientific research. Successful gaming (or creating a successful game) requires learning from rounds of trial and error, tapping into unconventional or intuitive thinking, and questioning traditional solutions. These are some of the same skills needed for solving scientific problems. Blogging is a fantastic way to express yourself, share your research, and extend your “personal brand”. As a scientist, sharing your knowledge and findings is an essential part of making an impact, helping you connect with others and find communities. Why do you want to blog? Answer this question, and your path will emerge.